June reigns as a hopping month in the Maine outdoors. In the North Country, consistent, aquatic-insect hatches keep folks covering rises, river action produces big trout and salmon, and brooks offer fast fishing for brookies and even browns, the latter far more prevalent in southern Maine. Trollers find togue spread out early in the month, but before June ends, anglers who know how to work deep holes do well with togue and even salmon from Kittery to the Canadian border. Panfish such as white perch, crappie, pickerel, sunfish and hornpout create the main ingredients for a fish deep-fry with homemade tartar sauce and maybe homemade french fries. Many anglers who manage to catch fish without using the latest, most expensive and high-tech gear live for these homey meals. These feasts remind many older folks of times past, when they ate supper around a kitchen table with parents, siblings, and often a grandparent or two. Stripers begin arriving, particularly on the southern Maine coat and tidal rivers, but these fish quickly migrate to central Maine, invading the coast and running tidal rivers. Mackerel come now and maybe bluefish before the month ends, but mackerel stay nearer shore for longer periods if marauding schools of migrating blues remain south of Kittery for awhile. Party-boat businesses for groundfish begin picking up now, but the real crowds don’t start coming until next month. This is a good way to fill a spot in the home freezer with cod and maybe even haddock fillets. Not many people fish for blue sharks, but folks who do target this ubiquitous shark find real thrills. Serious blue-shark anglers use chum, and these fish follow the chum line up to the transom, where folks with fly rods cast to them – visual fishing as exciting as hunting bear over bait with a bow and arrow, words from a man who has successfully done both. According to Vic Dunaway’s Sportsfish of the Atlantic, blue sharks average 100 to 300 pounds, and the world record 454 pounds. They have a long, trailing, top-caudal fin that makes them look 10 feet long, and they can reach that length – but expect smaller ones. Auto camping, canoe tripping and backpacking start in earnest as soon as school vacation begins. 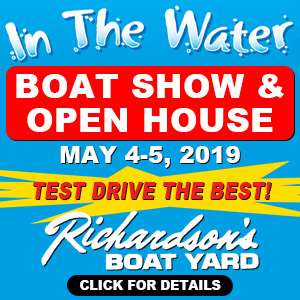 When academians talk about school going year-round, folks involved in tourism often wonder what that would do to Maine’s summer businesses that rely on families of tourists from out of state and even out of the country. Wild strawberries ripen now, providing memories to people like me of picking the fruit as a youngster. Before breakfast, my mother would send me outdoors with a tin measuring cup to pick strawberries next to our driveway for garnishing our breakfast cereal. That’s a good way to get kids involved in this ancient ritual, because they eat what they pick. Hiking, running, bicycling and kayaking interest folks for exercising, and these endeavors pick up big time in June. Of these four, bicycling allows us to leave black flies and mosquitoes behind because of pedaling speed. Shank’s mare [i.e., our own legs] doesn’t get us away from pesky flying insects. Prior to WW II, cooking over coals was something that only campers did, but now, barbecuing on the back deck to concoct a gourmet meal outdoors attracts hordes, particularly on warm evenings as a way to get cooks out of the kitchen. For baby boomers born shortly after World War II, this hobby has evolved from a tiny group to a way of life for much of society. 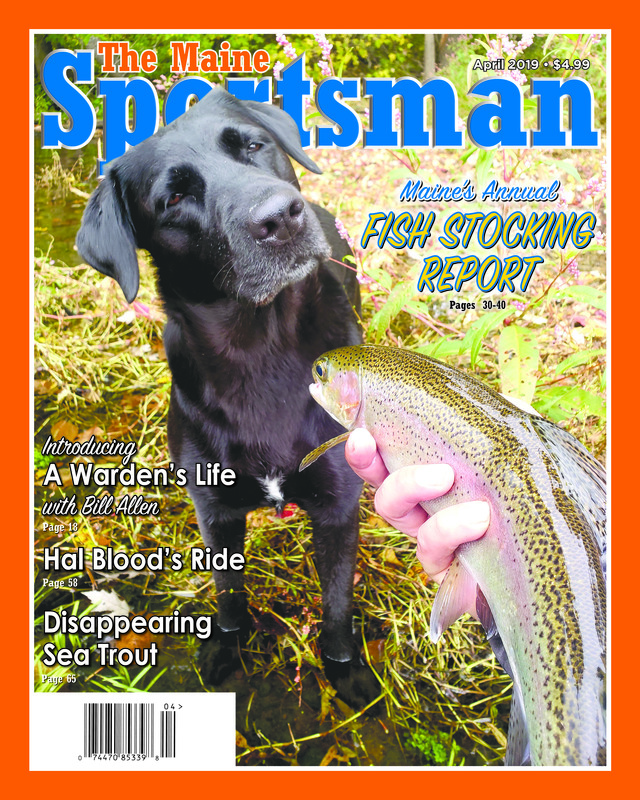 After turkey season closes May 31, June arrives with all its angling adventures, but hunters seem left out. • That’s not the case, though, because serious hunters practice shooting smoothbores, rifles and bow and arrows during the summer. • Hunters also scout for deer and bear, and the lucky ones with permits start looking for moose. For so many of us, summer scouting conjures images of early morning walks in the woods in cool air, so cool sometimes that we wish we had brought a heavier jacket. Hiking, biking, running, canoeing and kayaking really start big time in June, and folks in colorful clothing run and ride road bikes all over the state now. America is a land of plenty, and that translates into chubby folks who constantly try to lose weight. The thin ones want to remain that way. June offers so many outdoor activity options that most of us cannot get everything done in 30 days! Recently, on the Outdoor Channel, a fishing-lure product caught this writer’s eye and looked extremely impressive – Floatback Crankbaits from Floatback Lures. Please check floatbacklures.com on the ’net. Maybe home anglers and small manufacturers have fooled with similar technology for decades, but for this writer, it was new and revolutionary. Floatback Lures has developed a Crankbait that at first glance looks like a traditional lure with two attached treble hooks, but Floatback does not permanently fasten the hooks to the lure. Rather, the lure has grooves on the outside of it for the line, and a Retention Bead to hold the hooks onto the lure. That setup allows the angler to attach the hooks – not the lure – to the line. The Floatback lure offers anglers two superb options, because when needed, it enables them to eject the Crankbait from the hooks. Then, the lure floats back to the surface for retrieval. First, this option saves anglers money. If one or both hooks on the lure snag an immovable object underwater, the lure can eject from the hooks and line and floats back to the surface for retrieval. That allows anglers to lose two hooks and the retention bead – but not the whole lure. Did someone say genius? 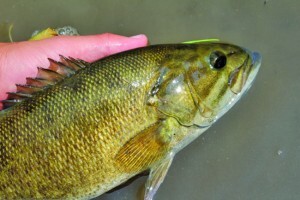 Second, when fish such as bass strike a lure, the quarry sometimes uses the lure itself as a lever to throw the hooks. When a fish strikes a Floatback Crankbait, the Floatback comes away from both hooks, which eliminates the fish ejecting the lure through leverage, hopefully improving the catch rate. New, dynamite inventions for anglers make this an exciting time to be in the sport. At my home, two birdfeeders and suet hang in strategic places, and during the season they attract a steady stream of black-capped chickadees, tufted titmice, white-breasted nuthatches, red-breasted nuthatches, common redpoll, brown creepers, dark-eyed juncos, American goldfinches and red-winged blackbirds, with rarer visits from a dozen other songbirds such as pine siskins, white-throated sparrows and eastern bluebirds. Warblers seldom visit my home, though, sad but true, so I travel away from home in May and June to spot these colorful birds. Furthermore, I hear and see warblers such as American redstarts, Blackburnian warblers and black-throated green warblers while stream fishing in spring. Something about my home’s location doesn’t draw warblers, but as the crow flies, George Smith, our “Capital Report” writer, lives but a few miles west of me at the outlet of a pond. Without leaving the driveway, he has myriad warblers at his home to watch. For me to see warblers, I must travel to warbler habitat, to watch shorebirds, I must go to wetland habitat, to hear or observe olive-sided flycatchers, I must walk around edges of swale lands and bogs bordered with black spruce and tamarack, and to spot hawks during migration, I must go to mountainsides and summits. On and on it goes. For sure, serious birders love providing seed to our feathered friends around feeders, but to watch a full array of bird species, the secret to success is simple. Motorized or self-propelled travel (hiking, backpacking, bicycling or canoeing) allow serious birders to target habitat that attracts the birds we seek for pure pleasure or perhaps a life list. Quimby Pond in Rangeley holds stocked brook trout but still ranks as a delightful water to fish, beginning with the setting. The 166-acre pond has a maximum depth of 12 feet, shallow, which means lots of invertebrates for brookies to eat, including surface-riding mayflies and caddis flies. Opportunities to match hatches make the pond particularly enjoyable, and rugged hills rise from some of the shores – regular calendar photos – another plus. But some conditions here are man-made, such as a fly-fishing-only regulation, 2-fish daily bag limit, minimum length 10 inches, one brookie can exceed 12 inches, no ice-fishing and no motors on boats. These contribute to stocked fish survival, and the no-outboard law means quietness. My first “big” brookie here measured 17 inches, a fat female that took a size 18 Red Quill. Trout grow bigger here, but this one came on the first evening during a fly-fishing school that I was conducting. It wowed the participants for sure. 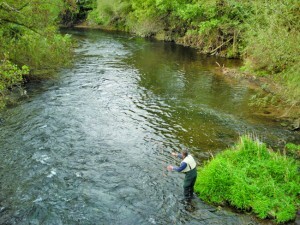 Hatches on Quimby are consistent, and a huge caddis emerges in June – a famous hatch on this water. In late May and June, dragonfly nymphs create dynamite fishing, too, but one huge allure for me are the ponds micro flies. One fly pattern on this pond impresses me – a chartreuse Wooly Bugger. This gaudy pattern offers great action at times. For access details to Quimby Pond, please check Delorme Atlas, Map 28, E-3 and E-4. From 1991 through 2000, FBI statistics showed that of the 644 law officers slain in the line of duty in the U.S., firearms killed 601 of them. 70.2 percent of the deaths were by handguns, 17.7 percent by rifles and 5.4 percent by shotguns. Criminals used other weapons (e.g., knives, cutting instruments or blunt objects) in the remaining 43 incidents – 6.7 percent of officer deaths. Here’s the shocking part of statistics from those years: During that same 10-year period, 51 of the 601 officers were slain with their own firearm – about one in 12. In addition, perpetrators stole 104 weapons from officers. Back Cove in Portland attracts mobs of walkers each year, a 3-1/2 mile trail around saltwater where serious birders have identified 215 species of birds! This number includes shorebirds, waterfowl, game birds, songbirds and more. What an amenity for Maine’s largest city! 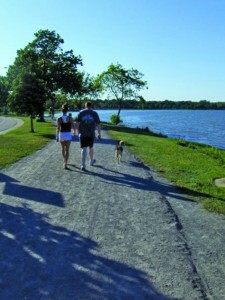 Every populated area should have trails for walkers – good for our health and well-being. Star-nosed moles (Condylura cristata) measure 7-inches long, and because of the 22 pink tentacles on their face, perhaps a prey-sensing adaptation, they look like a creature from a science-fiction flick. Most of us in Maine without pet house cats have never seen this species, though they are common and move around day or night. However, cats catch these small mammals and leave the carcasses on our doorstep or in yards – this writer’s introduction to the critter. Baby star-nosed moles leave their mothers this month and survive in the wild alone. House cats must raise havoc with populations in suburbs, but the species nonetheless endures. 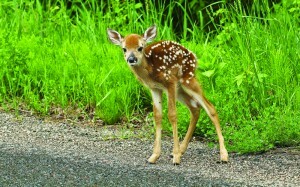 This month, Maine’s white-tailed deer give birth to fawns, and these little critters can walk and nurse when they are only one hour old. However, despite this precociousness, wherever predators such as bears, coyotes and free-roaming dogs roam in numbers, they kill many fawns. Good, protective habitat shelters the deer and keeps the deer-predator relationship in balance, so both can perpetuate. European cooks going back to the early Romans and perhaps even to earlier cultures wrapped meat and grains in grape leaves for poaching in a savory liquid. Wild-food gatherers can harvest young grape leaves for the same purpose, and diners can eat this young foliage this month. Birdwatchers including this writer spend so much time looking though binoculars at birds, but we rarely see birds copulate. … which raises the $64,000 question: Why don’t we? The answer is simple. Avian copulation lasts but seconds, so only exceptionally astute observers catch the brief act – a continuing story in the world. No one wants to do private business in public, so despite the species, the deed is often done discretely. This writer loves looking at the L.L.Bean Fishing catalog to see what flies this company tries to sell first, giving us a quick view into an American fly-pattern list. This year, the Bean catalog dry-fly list has three parachutes first, but the pattern choices in the parachutes interested us the most – Adams, Blue-winged Olive and Sulfur Cahill. These are perennial favorites. Second are the Ausable Wolf and Royal and White Wulff – a testimonial to flies that float like corks. Next are the Sparkle Duns in Baetis, Pale Morning Duns and then Sulfurs. Blue-winged Olives captures fourth place. In recent years, the first choice on the Bean list was Blue-winged Olives. The fifth category is CDC Thorax Sulfur Duns, and folks, you cannot go wrong with any CDC thorax fly. Adams wound up ninth place, straight Sulfur Duns 12th, Red Quills 16th, Elk Hair 24th and March Brown 27th. There is a Dark Hendrickson falling in 19th place, but no Light Hendrickson! …A shocker! That last one surprises me big time, but the list surely is compiled based on Beans sales figures – not on a writer’s whim. Typically, a 1-acre plot of maples – about 80 mature trees – can produce 40 gallons of maple syrup. Researchers Abby Van den Berg and Tim Perkins of Vermont have originated a new maple-farming technique – a startlingly inventive way of growing maples for syrup production. They plant these hardwoods close together and grow the saplings to around two inches in diameter. Then, they cut off the top of the sapling about chest high, put a plastic bag over the severed trunk and vacuum-pump sap out. These two researchers claim that they can get 400 gallons of syrup per acre from about 6,000 saplings. Is this the future? East Millinocket’s high school, spelled “Schenck” but with the pronunciation “skank,” has graduated hundreds and hundreds of rural folks though the years, including myriad outdoors types. Because to some the pronunciation of the word also evokes a vulgar connotation, an East Millinocket resident lobbied to rename the school. However, the school board refused to discuss the school name change, because East Millinocket folks named the school decades ago in memory of Garret Schenck, Jr. The latest ice-out at Moosehead Lake occurred on May 19, 1978, and the earliest took place on April 15, 2010 – 34 days earlier than in ’78. Some observers cite global warming, but if so, how do they account for the relatively late ice-out this spring? 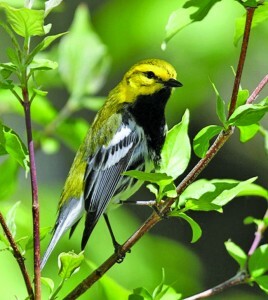 While fly fishing in May and June along the Pleasant (North Windham) and Sheepscot (Palermo) rivers, I often hear the distinct call of black-throated green warblers (Dendroica virens) – a sing-song, lisping zoo zee zoo zoo zee or slightly altered arrangements of the zoos and zees. These river stretches where this warbler gathers flow through hardwoods with occasional sparse stands of eastern hemlock and white pine, but mostly hemlocks. This species nests in mature eastern hemlock and white pine. I first saw a black-throated green warbler on the Pleasant about 20 years ago, and it was eyeball to eyeball with me in the very top of a giant hemlock. This stately conifer was growing from the narrow floodplain below, and I was on a path on top of a steep ridge at head level to the very upper hemlock limbs. This bird measures five inches in length, sports 7-3/4 inch wings and weighs slightly less than 1/3-ounce, and paintings and photos never do the male justice. The bright-yellow cheeks grabbed my attention during my very first observation of the bird. The olive-green crown and back did not grab my eyes right off, but the black throat did right after the bright-yellow wowed me. The black throat proves less obvious on the female, as does the yellow on the face. Black streaks on the whitish flanks do show up well on both genders, though, even in the near distance. It strikes me as odd that this species does not have “yellow” in its name, particularly since the “green” doesn’t jump out at the birdwatcher. This little warbler is bright, all right, thanks to the yellow face. What Year Did the First Spin-cast Reel Hit Markets? Spin-cast reels hit markets after World War II, and advertisements in most outdoor magazines immediately promoted the product. Do you know what year that spin-cast reels were first sold? 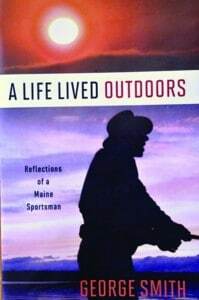 A Life Lived Outdoors by George Smith (Islandport Press) just hit the market early last spring – an essay collection from his columns that ran for 23 years in the Kennebec Journal and Waterville Morning Sentinel. A few came from Down East magazine. Through the years, I had read most of the columns, so I knew that Smith’s quarter-century effort would offer a fun read. Smith also works as the “Capitol Report” columnist for The Maine Sportsman, and this job requires 1. writing skills, 2. extreme knowledge of Maine outdoor politics, and 3. the courage to write on topics that lead to toe-to-toe confrontations. The third one in particular is a rare quality among many writers. I had suggested George Smith for the job, and one reason for the choice struck me as irrefutable. He was a lobbyist for the Sportsman’s Alliance of Maine then, knew Maine outdoor politics better than most folks and didn’t mind stepping hard on a few toes. But A Life Lived Outdoors has little to do with politics – little deliberately to do with it, anyway. He and others chose essays about the outdoors, rural life, and human interactions. I started reading Smith’s book as soon as it arrived in the mail. Topics include everything from yard sales to barn sales, Russ Libby to Gene Letourneau, Maine camp memories to community unity during disasters, hunting and fishing why-to rather than where-to and how-to, personal challenges to job challenges, whoopie pies to cranberry muffins and far more. Not long ago, George told me that among others, Hillary, his daughter, helped put the essay collection together – a harder task than many folks may realize. Sometimes, the eye of people close to the writer can do a better job of putting an essay collection together than the author can, and apparently Smith’s daughter has a better eye than most. This collection works as a tight grouping of his best essays. Smith has strong family ties, and many stories explore this side of his life, and naturally, readers can relate. One essay delves into the passing of his mother; other ones talk about his father, a well-known man in central Maine; and additional essays cover milestones with his children. Most older adults can relate, because they have been there, and younger folks get a glimpse of their future joys and sorrows. 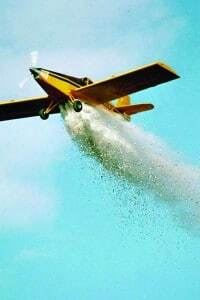 In June 1992, a few hundred outdoor writers from the Outdoor Writers Association of America, including me, stood on the Stillwater River in Orono and watched an airplane from the Department of Inland Fisheries and Wildlife approach the river. Before reaching the water, the plane descended to a 200-foot level and slowed to 85- to 90-mph speed, before dumping 100 or so brook trout from the air. The fish landed with inharmonious splats, and moments later, six or eight of them came to the surface belly up, before eventually recovering and swimming off. It looked as if they all survived the bombing run. When we talk about carefully returning released salmonids, black bass or stripers to the water, I often think of this stocking scene. Anglers cannot throw a 10-inch brookie 200 feet into the air at a speed that rivals the velocity of a big-league pitcher’s fastball. Indeed, we should still release fish gently without squeezing them, ripping hooks out or stepping on them in gravel, because it is as easy to be gentle as it is to be rough. It can never hurt to be careful! Fly rodders such as myself use barb-less hooks and forceps, so our hands do not touch these creatures. However, fish are tougher than we think – as Maine’s aerial stockings illustrate. In short, when caught and released on artificial lures, fish have incredibly low mortality rates – 4 percent to 5 percent. It’s even lower on flies – 2 percent to 4 percent. Or should we say 95 percent to 98 percent survivability rate. In short, if a fly rodder catches and releases (C&R) 500 trout a season, 10 to 20 of them will die, and C&R spin anglers with lures kill 20 to 25 fish. The latter with lures that have little resistance in the water may have better survival ratios, because less hook tearing occurs, but that is strictly my opinion with no scientific studies to back it up. July’s high and low temperatures rank higher than any other month of the year, which makes swimmers and sunbathers smile, but it slows salmonid fishing considerably, makes deer, bear and moose scouting miserable and challenges hikers, runners, bicyclists and other exercisers. About four or five years ago shortly after 8 a.m. – on July 21 to be exact – I was flying down a long hill on my road bike, and it was so cold that I made plans to drive down to L.L. Bean that very evening and buy long tights to cover my legs during future morning pedals. Salmon, trout and char fishing slows in July as compared to June, a general rule, but bass fishing can pick up in summer’s warmer months for skilled bass anglers who know how to work a jig deeply. White perch, black crappie, sunfish, hornpout and pickerel action picks up in the warmer weather. Scouting for game animals now has fun moments during the cool dawn and until the sun rises fairly up, but occasional, scouters wonder if the sign they’re finding is pointing them toward typical fall behavior of deer, moose and bear. Scouting anytime never hurts, though, and it gives astute hunters a chance to follow behavior through the season. July and August are tailor-made for shooting shotguns at clay targets, rifles at stationary targets to line up the sights precisely and to perfect trigger squeeze, and to shoot bow and arrows to practice a consistent anchor point, crisp release and steady bow arm. Saltwater fishing picks up now for striped bass, bluefish, mackerel, panfish, groundfish and blue sharks – all popular species with the angling public. On hot summer days, fishing the salt can feel cool, sometimes too cool, but no one is complaining about that when temperatures hit 92 degrees. Car camping, canoe tripping and backpacking picks up now that black flies and mosquitoes have subsided a little and kids have been on vacation for two or three weeks and are ready for a change of scenery. Water sports also increase in participation now, canoeing, kayaking, sailing or just motoring around. July feels mighty good when we’re on the water, doing anything. Barbecues are the norm now from Kittery to Fort Kent, and folks get better every year at cooking gourmet delights over coals – everything from braised corn to grilled ribs and chicken – the latter cooked to succulent perfection. Photographers get out for landscapes now that flowers bloom in fields, for ocean scenes, for songbirds, shorebirds, waterfowl and raptors, for wildlife such as big game. Many serious hunters and anglers are also excellent gardeners, and why not? It’s part of the food-gathering process, and this month, snap beans, radishes, summer squash and greens begin filling pantry counters. Wild foods such as strawberries, blueberries and soon raspberries as well as potherbs and roots keep this crowd gathering, too, an obvious food-gathering exercise. When did the spin-cast reel originate? Denison-Johnson introduced the first commercial spin-cast reel in 1949, a reel that solved the problem of backlash, a chronic challenge with bait-casting reels and even spin-casting reels. In comparison to bait-casting reels with heavier lines, spin-cast reels also had the advantage of being able to throw a light lure because of the light monofilament line. Kids in the 1950s really coveted the old Johnson-Century reel, a common part of an angler’s tackle back in the day when characters such as Davy Crockett, Beaver and Wally Cleaver, Cheyenne Bodie, Bret and Bart Maverick, Paladin (no first name), Jim Bowie, Dobie Gillis and Maynard G. Krebs ruled the evening television airwaves after folks spent a long day, often fishing with their spin-cast outfits.